Raider Motorsport are based in Coffs Harbour, Australia, approximately halfway between Sydney and Brisbane – it’s famous for having a giant banana and also where Russell Crowe owns a farm. 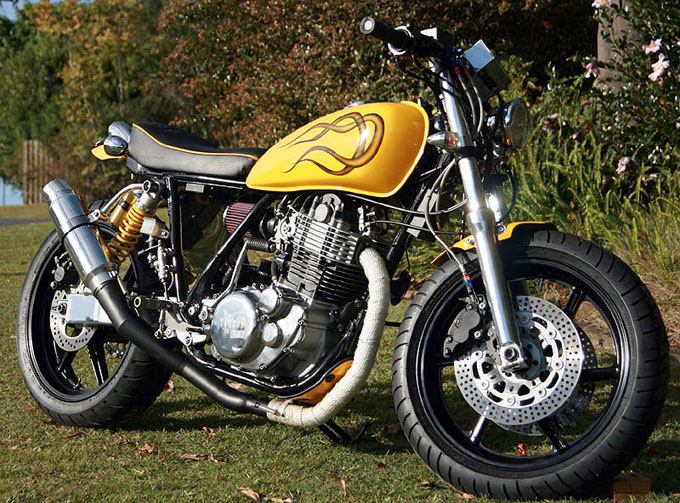 Raider Motorsport have built this SR400 completely from the ground up and this is what they tell us about the build: “The frame has been removed of all unsightly and unnecessary brackets and mounts, sandblasted and anti-corrosion sealed before painting. The engine has been disassembled, all clearances and OEM tolerances checked and refined prior to reassembly. Engine cases are hand polished while the barrel and cam cover are treated with a high temperature coating before hand finishing of the aluminum cylinder cooling fins. Whilst a great deal of the bike’s accessories are hand-made, there are also several unique and off the shelf items newly purchased including blinkers, handle-bars, LED warning lights, digital multi-function speedometer, braided brake lines, mirrors, rear-a-set billet aluminum foot-peg assemblies, coil-over gas shocks, seat & upholstery, new Michelin tyres, wiring and battery, and of course, new custom paint”. 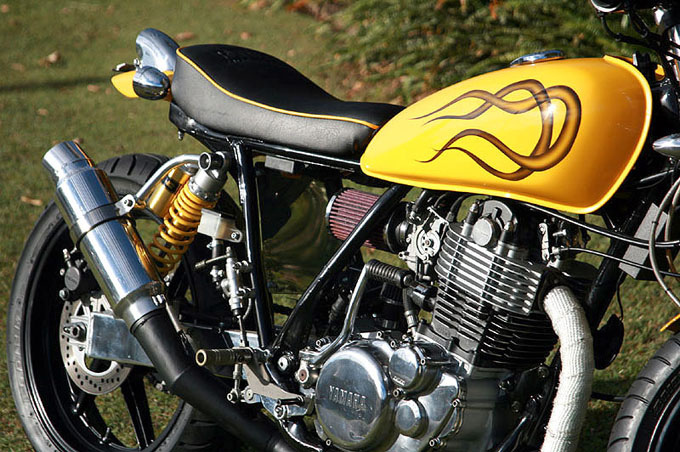 This naked street fighter looks fresh out of the box and we’re sure it would be a blast ride. It’s actually for sale but isn’t cheap at A$18,990 ($16,000 US). 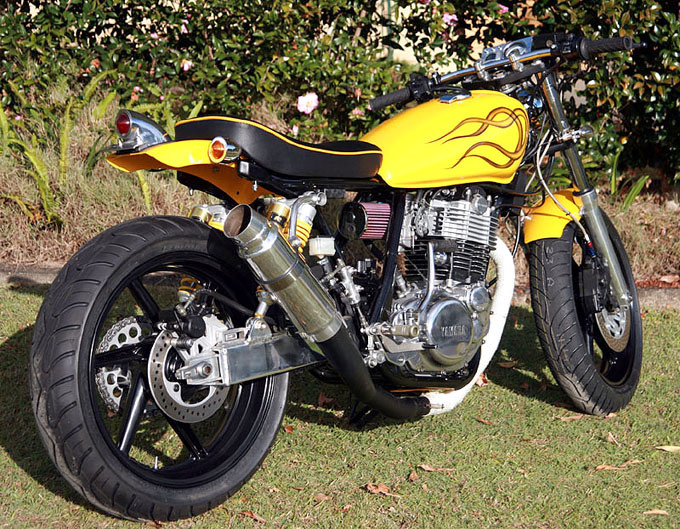 You can view loads more pics at the Peccant SR400 gallery.